Israeli aircraft and a tank struck a vehicle belonging to a leading terrorist of the Islamist Hamas group, as terrorists launched rockets into Israel, the IDF said on Wednesday. 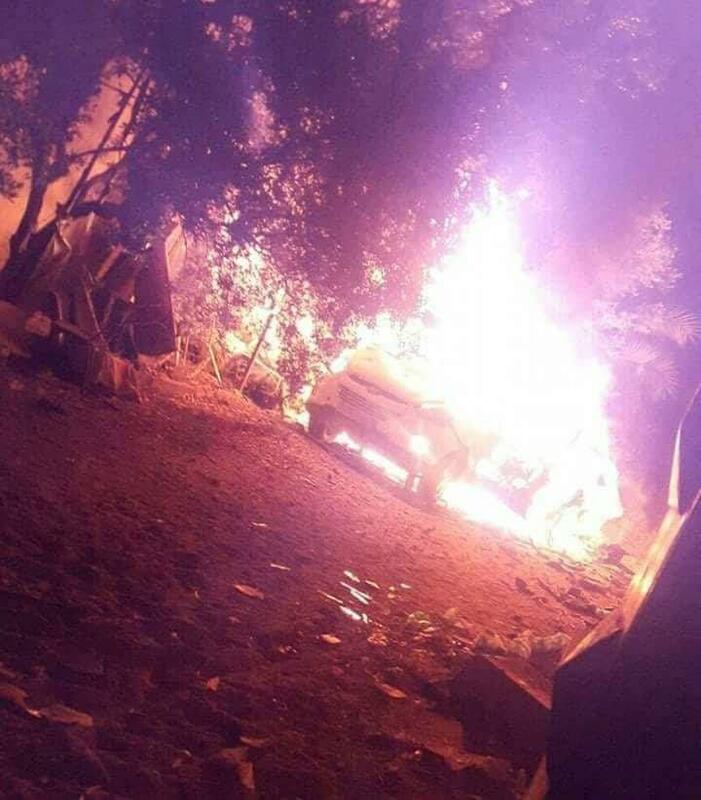 Local residents in the Nusseirat refugee camp in the central Gaza Strip said nobody had been hurt when the car exploded in a ball of flames. A picture posted on social media showed a fireball in an alleyway said to be the car that had been hit. A statement by the IDF said the car had belonged to a terrorist “heavily involved in launching arson and explosive balloons from the Gaza Strip into Israel.” Two Hamas observation posts were also hit, the IDF added. “The Hamas terror organization will bear the consequences for facilitating terror and instability,” said the IDF. In recent weeks, Palestinians have sent kites and helium-filled balloons dangling coal embers or burning rags across the Gaza border to set fire to arid farmland and forests, while others have carried small explosive devices in a new tactic. The Iron Dome anti-missile interceptor was launched at three out of the 13 rockets that militants had fired, an army spokeswoman said. B’chasdei Shamayim, no Israeli casualties and no damage were reported in Israel after air-raid sirens sounded in communities around the Gaza Strip in the pre-dawn hours of Wednesday.